Ehpro eTank S2 Subohm Tank Atomizer, is a new flavor chasing system. It features a user-friendly top filling, e-juice feeding controlled by adjustable air-holes, and 5ml huge capacity. It can be used with a wattage of 5W to 50W battery mod. Insert the MSVC coil head into the base, then screw the AFC (air flow control) section onto the base, the first part assembly is finished; then install the glass tube and top cap; lastly, put on the drip tip. Hold the base in your hand, then rotate the chimney counterclockwise; unscrew the base counterclockwise, then pull out the coil head; replace with a new coil head and tighten the base. It's done. Rotate the AFC ring counterclockwise until the valve can go no further; unscrew the top cap. fill the tank via the inlet up to the visible indicator - the groove (the AFC ring needs to remain sealed during this process). After filling, thread the top cap back on clock-wise. Please make sure it isn't overfilled. You will have overfilled the tank if liquid filled reaches higher than the groove. It will be prudent to wait 5 minutes before vaping, to let the cotton get fully saturated. Ehpro eTank S2 ist ein gutes Einsteigermodell. Es lässt sich leicht bedienen, liegt gut in der Hand und hat eine lange Akkulaufzeit. 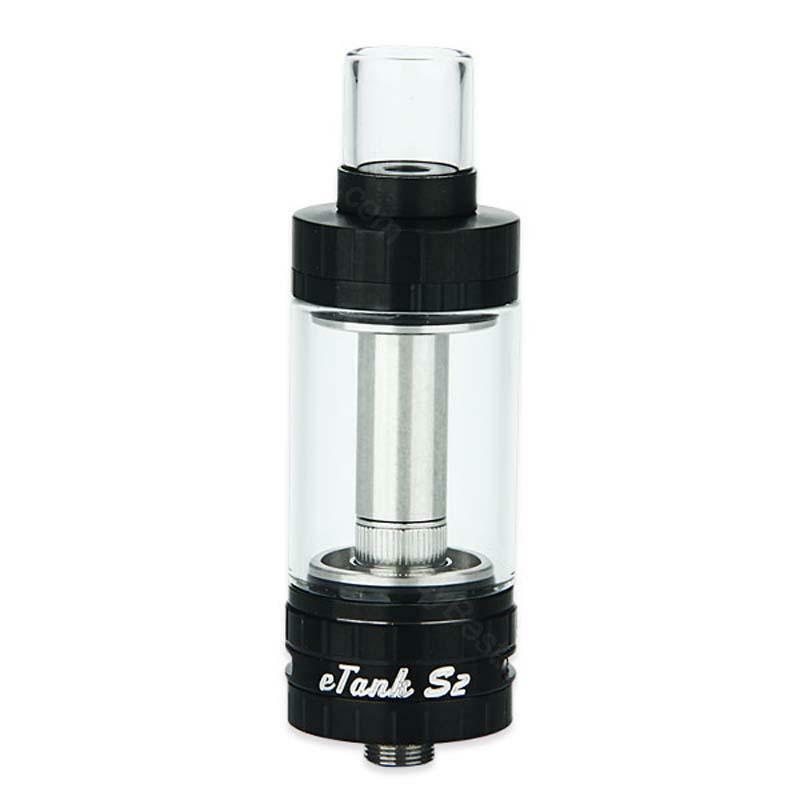 Ehpro eTank has a moderate price and superior quality.